Samples Beverly Craven - Promise Me & A uses the same beats as DJ Seduction - Sub Dub. Some copies have robot labels, most copies are just white labels. My record comes as white label at both sides, but at one side the label was just sticky at the outer rim. After removing it there was a second label with the robot print and the backside of the removed label shows also the robot. 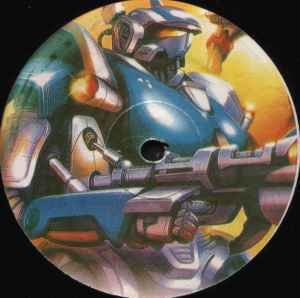 So most likely all records come with the robot label, but most of these where just sticked with the print side to the record.